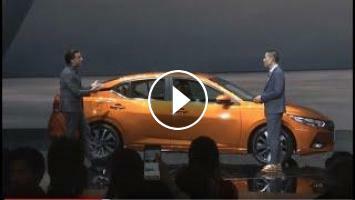 Watch Nissan’s design walk around with Global Head of Design Alfonso Albaisa, live from the 2019 Shanghai International Automobile Exhibition. Tune in at 3 p.m. China Standard Time (4 p.m. JST, 7 a.m. GMT) to the Nissan Global YouTube channel or follow us on www.twitter.com/NissanMotor andwww.periscope.tv/nissanmotor. At AutoShanghai 2019, Nissan will unveil an all-new sedan and display two electrified concept vehicles at this year’s Shanghai International Automobile Exhibition, showing visitors how the company’s technologies and design are changing the future of mobility.